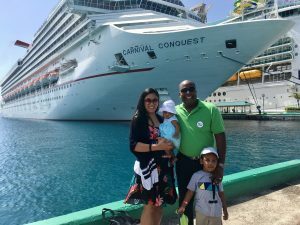 We are happy to welcome Christopher Mitchell to our Expat Life Interview Series. He is from Canada, and he has visited 70 countries and has lived in Oslo, Norway, Seoul, South Korea and Istanbul Turkey. Let’s read his expat life experience in Istanbul, Turkey as a travel blogger and teacher. A: I’m originally from Toronto, Ontario, Canada. A: Currently I’m living in Istanbul, Turkey with my girlfriend, Briana, who is also from Canada. A: I’ve been living in Istanbul for three years, and I’ll be leaving this August, for better or worse. A: moved to Istanbul to teach at an international school here, as I’m a teacher. However, I also do plenty of other things here. Namely, I’m a travel blogger and photographer, as well as a freelance writer. You can check out my writing at www.travelingmitch.com, or on social media at @travelingmitch. In a shocking turn of events, my Facebook Page is of the same name, travelingmitch. Q: Moving from Canada to Istanbul, Turkey, what was your first impression? A: Well, I had visited Turkey prior to deciding to move there, so I didn’t necessarily have a “first impression,” per se. That being said, when I first arrived I was a bit awe-struck by all that was going on. 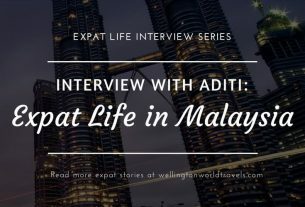 From an expat perspective, when I first arrived every single night there seemed to be something going on, and that suited my personality pretty darn well, considering I’m seemingly always on the go. Q: What do you enjoy most about Istanbul? What were some of your favorite experiences in Istanbul? A: What I enjoy most about Istanbul is the sense of history that envelops the city. Everywhere you go, you’re stumbling across history that you simply couldn’t find in a country like Canada, where I was born. A: This is going to sound fairly lame, but I actually miss being able to watch sports at a reasonable hour. I often end up getting my fill of Toronto sports action in the middle of the night, and the novelty of that wears off after a few days, as you can imagine. And, most notably, I miss my friends and family. I love meeting people. A: It’s hard to assess what the greatest aspect has been, to be honest. It’s likely been the people that I’ve met here, both Turkish and Expats. There have been some underrated cities that I absolutely adored because of the people (Sarajevo comes to mind), and some cities I didn’t necessarily love because of the people (*cough cough* Paris). So, ultimately it comes down to the people, and I’ve been blessed to really meet some incredible people here. As far as adjustments, there are really too many to pinpoint just a few. It’s a different life in Istanbul in every respect, which I appreciate. I used to live in Oslo, and there perhaps I could isolate just a few things, but in Istanbul, it’s more likely that everything is an adjustment rather than just one or two notable items. A: I think the quality of life is higher for the average citizen in Canada, but in my personal situation, it’s entirely possible my quality of life is higher in Turkey. I say that because my salary goes a lot farther here, I have private health insurance so I’m seen quickly at hospitals etc., and the public transportation system in Istanbul is significantly better than Toronto. Basically, I feel as if I’m able to live a comfortable life in Istanbul for the most part, but in Toronto, I’ll likely be struggling quite a bit more financially. Again, I can only speak to my own personal experience here. That being said, there are certainly difficulties I face in Turkey that I don’t in Canada. And, I should note that I absolutely love my hometown, Toronto. I have never been an Expat who left because I was dissatisfied with my hometown or the country I was born in, I just knew that I had to see what the rest of the globe consisted of. Q: What are the best things to do or places to visit in Turkey? A: That’s actually fairly difficult to say in Turkey, as there’s simply so much to see. If someone told me they had two weeks here, I’d basically tell them to spend 3-4 nights in Istanbul, then spend the remainder of the time trying to squeeze in Ephesus, Pamukkale, Cappadocia, Fethiye, and Bodrum, if such a thing could be possible within that timeframe. I can think of at least 4-5 other places I’d recommend as well, but that’s for another interview altogether. Make no mistake, Turkey is one of the most beautiful countries on the planet! Q: Tell us about your typical day as an expat in Turkey. A: The beauty of Istanbul is that there really isn’t a “typical day.” You can head down to Sultanahmet for ancient history, Bebek to enjoy the Bosphorus, Galata to feel in the heart of the city, Kadıköy to touch Asian soil or Besiktas for some rowdy modernity. Istanbul is basically like ten cities in one. A: Yes, I felt it was fairly easy meeting people and making friends, but I’m naturally a fairly social person, so I’m not sure if I’m the best gauge of how easy it is to fit into a nation. I’m quite sure I’d find friends in rural Siberia if I ended up there for an extended period. My friend group is a pretty fair mix of Turkish and International. I think I’d be remiss to come all this way just to get to know other people who also came all this way, while we proceeded to ignore the people in the city we all came to. A: Personally, I didn’t have a problem, as my school dealt with it, but I know from friends that it can be quite the process. Bureaucracy, as a rule, does not run particularly smoothly in Turkey. The way to get things done from a bureaucratic perspective is anything but black and white in this city. A: Well, there’s certainly more Turkish tea over here during the workday. On a serious note, I think it’s hard to say – I’m of the opinion that the work/life balance in North America is just deeply out of whack, so I’d say that Turkey, like most of the world, approaches work a little more reasonably. Things generally don’t start on time and schedules are pretty fluid, but that’s not a huge issue for me. I don’t want to use this opportunity to go on a diatribe of sorts, but I just feel like in most other nations work is a means to a life, but in North America, it is a life unto itself. It’s worth noting that this trend is changing though, and work does permeate more and more of life everywhere. I’ll be heading back to North America come August, but my deep feelings about this do lead me to believe that I may be suited better for life elsewhere on a potentially lifelong basis, but that, of course, remains to be seen. Q: What are your tips or advice for anyone looking to live and work in Turkey? A: Hm. I’m not sure I would, in fact, recommend that someone come and live and work in Istanbul at this time. In the three years I’ve been here, things have become increasingly complicated on a number of levels, and that can be potentially difficult to navigate. Istanbul is my second home, don’t get me wrong, but it is not the easiest city in the world to thrive in, especially not right now. I don’t necessarily want to elaborate on that too much, but I can just say that it’s a city in the midst of an immense change, and it’s worth thinking about whether you feel, as an individual, that you can handle a city in such flux. Yet, I still maintain that Istanbul is one of the world’s great cities, and I love it as deeply as one can love a city. 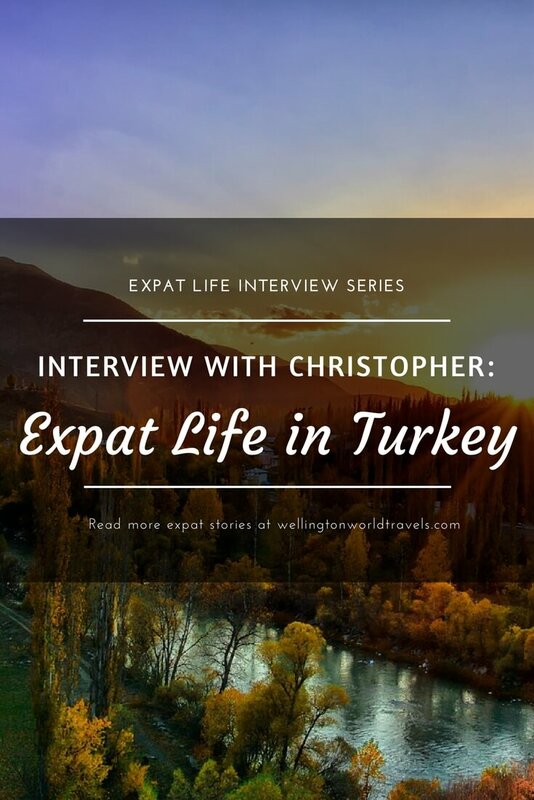 Thank you, Christopher, for taking the time to be part of our Expat Life Interview Series! Christopher Mitchell has embraced the expat lifestyle since 2010 when he studied in Oslo, Norway. Since then, he’s lived in Seoul, South Korea and spent a few years in Istanbul, Turkey. He’s also spent a fair bit of time working in countries like Nicaragua, Ecuador, and India. As you might imagine, being a travel blogger and teacher has been a natural fit for Chris. Though he loves teaching, he now aims to approach travel blogging and freelancing writing on a full-time basis. So far, he’s explored over 70 countries and has visited all the continents not named Antartica. As a rule of thumb, nearly the entirety of the world is on his bucket list. Check out his travel blog www.travelingmitch.com, or connect with him on Facebook, Twitter, Pinterest, and Instagram. I just stumbled upon this blog today and not regretting spending a single minute of my reading time. Very nice to see that you visited turkey. Always want to be travel that country. Keep up with such countries. Interesting life being an expat, isn’t it!!. Wow, you would have had an amazing time actually living in Istanbul as supposed to us as visitors. Unfortunately, Turkey is about to have many changes coming up in the coming year, from what we hear, not for the good of it’s people. Good luck for your next adventure, Christopher. Always appreciate you for reading our Expat Life interview series, Suzanne. I visited Turkey many years ago and was blown away by Ephesus. Lovely part of the world. Good luck for your next adventure, Christopher. Thank you, Shelley, for reading Christopher’s expat experience.